When someone says sportscars, the country of Italy automatically comes to mind. They have an impressive selection of supercars for the 2016 model year, and these vehicles are extremely exclusive. While Ferrari and Lamborghini will always be the most famous brands from Italy, you can’t overlook the creations of Pagani. Italian cars have long been regarded as the best sportscars in the world. They’re known for their incredible speed and impressive handling because Italians are the world’s most passionate racing fans. Cars from the land of romance are also known for their massive price tags. One of the newer Italian car companies is Pagani, a manufacturer that was founded in 1992. San Cesario sul Panaro, Italy is the scene of Pagani’s headquarters, where they manufacture fine racing machines. Like most Italian sports car companies, this is a relatively small operation with a mere 55 employees. 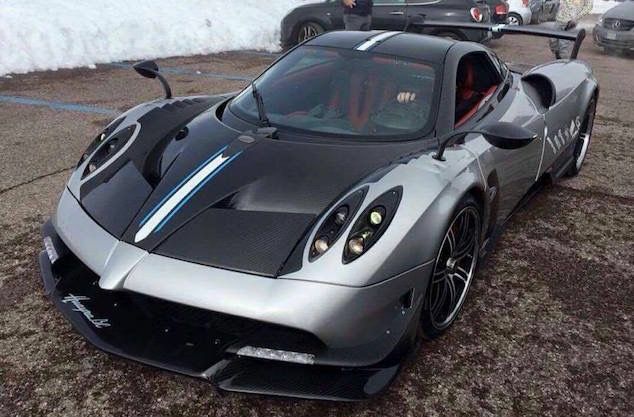 Yet in still, Pagani manufactures some of the most expensive cars ever seen. They made their name in the automotive industry among racing fans with the Zonda. This monster car debuted in 1999 and it was last produced in 2011. However, they have a brand new beast for 2016 and racing enthusiasts are taking note. Pagani’s latest incarnation of greatness is the impressive Huayra which shares its name with the god of the wind. It features a V12 engine that propels it from 0-60 in under 3 seconds. Pagani may be seen as the younger brother of the Italian greats, but the Huayra takes a back seat to no one. This car was made for racing though you might want to drive it slowly through the city. There’s no need to speed past everyone nd deny them the chance to see what a real Italian masterpiece looks like. You can always show your stuff on the track during the weekend because there aren’t may cars with this type of impressive acceleration.